I’ve got to hand this one to a favorite person and a favorite cookbook: Naomi Nachman, and “Zahav“, respectively. Naomi is a foodie friend who’s not quite at my stage in life. She just married off her first child and her youngest is about the age of my oldest. Naomi might be older but she’s got more energy than my five kids put together! She’s always the life of the party and her foodie calendar puts me to shame. She just wrapped her first cookbook, Perfect for Pesach, which I was lucky enough to get some sneak peeks behind the scenes (and test some of the amazing recipes!). She runs a Pesach catering business, a “Chopped” themed party service, writes for various publications and even has her own radio show, Table for Two on the Nachum Segal Network. I love Naomi’s positive energy and I’m proud to call her a friend. Recently, Naomi managed to squeeze in a trip to Israel amid her crazy hectic schedule, and she brought me back some Hawaj from the shuk. I’d never tried hawaj before, but I knew that there were two types of the Yemenite spice blend – one for soup and one for coffee. The spice was so potent (everything from the shuk always is!) that my whole kitchen smelled of it, even through the Ziploc bag! I wanted to make the most of the spice so I thought about how I could use it to really let it shine. And it hit me – hummus basar! I had never made meat hummus before, or any REAL hummus from scratch and I was excited to try! I went to the holy grail of Israeli cookbooks, “Zahav” to find the perfect recipe and of course Michael Solomonov’s did not disappoint. What I love so much about Zahav is that every recipe is approachable, and unlike some of the other cookbooks on Middle Eastern cuisine, Zahav is the least bit pretentious. The hummus I made from the book was by the far the best one I had ever tasted and I don’t think I’ll ever be able to go back to store-bought. It is just a whole ‘nother ballgame. What I learned from Solomonov is that hummus is so much more about the quality of the tahini than it is about the chickpeas. I always thought of hummus as a chickpea spread, but no. It’s a silky-smooth-sesame chickpea spread that will knock your socks off. You start by preparing silky smooth tahini that involves a brilliant garlic hack that I won’t share (buy the cookbook to find out what it is!). Then you take that tahini perfection and add loads of it to butter-soft chickpeas. Oh. My. God. is it good. Zahav’s hummus recipe is a two step process, but I’ve simplified it here into one. I would definitely encourage you to try the original recipe at least once, but this makes a pretty good substitute. And please do me a favor and don’t put the amazingly pungent and flavorful hawaj-spiced beef over store-bought hummus because that’s like serving homemade shortcakes with canned whipped cream. Just no. And if you’re feeling up to the task, try Zahav’s pita recipe and bake ’em up in mini to go along with these Jerusalem hummus jars. There’s really nothing quite like homemade pita to go along with homemade hummus. I’ve made the recipe a few times already and it is super simple and incredibly delicious! Of course this Hummus Basar was made in jars in the spirit of Purim, but feel free to make this recipe and serve Israeli style, in a big bowl with lots of fresh pita for dipping! You can also make the hawaj beef and serve it over rice, it makes for a delicious side dish! Add the chickpeas and 1 tsp baking soda to a large bowl and cover with a few inches of water. Soak overnight. Drain the chickpeas and rinse. Add chickpeas and remaining teaspoon of baking soda to a pot and cover with a few inches of water. Bring to a boil and skim any scum that rises to the surface of the water. Reduce to a simmer and cook, covered, for one hour, until soft and tender. Drain well. Add the garlic, lemon juice, salt, cumin and tahini to the bowl of a food processor with the S blade attached. Puree the mixture, and while the machine is running, pour the ice water through the feeding tube. Blend until the mixture is very smooth. Add the drained chickpeas and continue to blend until creamy. Adjust seasoning,, adding more salt, cumin or lemon, if desired. Heat olive oil in a skillet and add the onions. Saute until translucent. Add the garlic and mushrooms and continue to saute until all the moisture from the mushrooms evaporates and they begin to brown. Add the hawaj and stir until incorporated and the mixture is fragrant. Add the beef and salt and cook until crumbly and no longer pink. Toast the pine nuts in a dry pan over medium heat, or in the oven at 375 degrees, until browned. To assemble the jars, fill a piping bag with hummus and fill about 1/3 of the jar. Top with beef, pine nuts and parsley. Alternatively, you may spread the hummus out in a large bowl and top with spiced beef, pine nuts and parsley. NOTE: Hawaj is a yemenite spice blend. There are two types of hawaj – for soup and for coffee. Make sure to use only hawaj for soup. You can make your own with this recipe. VARIATION: If you don’t have hawaj for soup, you may use shawarma spice, Jerusalem spice, or baharat. You probably never thought you’d hear a nice Jewish girl say this, but thank G-d for Easter! You see, I just wasn’t feeling Purim this year. I’ve been busier than ever (I think I should change my name to BUSIER in Brooklyn) and as hard as I tried, I couldn’t really come up with a fun food gift that wouldn’t break the bank. Enter Target’s dollar section AKA my favorite place of all time! Since I couldn’t seem to come up with something, I decided to shop around and let the aisles do the talking. Well talk, they did! When I saw these adorable Easter egg crates, I knew exactly what I was going to make. Total cost: $1. After I found the egg crates, I realized that I would need something to place them in – something nice and sturdy, that would hold them in place. Well, I didn’t have to look much further. A bit deeper in to the Target bargain bins, I found these square wooden boxes, which fit the crates just right. Total cost: $3. Now all I needed was to fill the empty space next to the eggs, but what to put? Hmm, deviled eggs, deviled…hot…hot sauce! The perfect accompaniment to deviled eggs! So I did what any bargain hunter would do, on my way home from Target, I stopped by every little supermarket I could find and went straight for the condiment aisle. I tried all the bottles to see what would fit, until I scored the ultimate find! OU certified Louisiana hot sauce at 4 for $1. You got that right! FOUR whole bottles for one hundred pennies! The original price was $3.19 per bottle, but they were on special just this week! Talk about good timing! I also scored this amazing copper beer bucket at Target for just $3 – a great addition to my growing props collection. And the plastic eggs that came with the egg cartons? My kids are gonna have a ball with those. So, Target loot in hand, I went home and cooked up some 6 dozen eggs. Cooking in bulk always reminds me why I never want to go into the catering business. Peeling them was such a pain, and my house literally stunk like a chicken coop! Do you know what the secret to easy egg peeling is? Use old eggs. Seriously! The fresher the egg, the harder they are to peel. And do you think I remembered to buy eggs two weeks ago? NO. This girl, who knew the secret to easy-egg-peeling, bought FRESH eggs. I kid you not. Now if you want to serve up deviled eggs vertical-style (stuffing them standing up instead of cutting them in half lengthwise), here’s what I learned: you need to slice off the top from the wide end of the egg. If you start from the narrow tip, you’re gonna lose half the egg before you reach enough of the yellow to be able to get it out. Once I sliced off the wide end, I squeezed gently on the whites and the yolk literally plops out. It even makes a “plopping” noise. Kind of funny! Once I’ve separated my yolks from the whites, I go ahead and fill my food processor with the yolks, adding in some mayo, mustard, pickle relish, onion powder and salt. I give it a whirl and let it go until the mixture is nice and creamy. Then, I scoop the creamy filling into a ziploc bag and cut off the tip. I fill the whites with the yolks and top it with a bit of chopped green onion. Simple. Clean. And oh so yummy. Deviled eggs, check. Egg cartons, check. Hot sauce, check. Now the only thing left to do, was make a cute card – and it came to me just as I was putting the finishing touches on my crates. Why not use yellow and white card stock to make an egg-shaped card? I’m not a big fan of my handwriting so creating tags on the computer really works for me! Seriously, how cute are these?! I hope you enjoyed my little peek into my family’s shalach manos! Wishing you and yours a truly EGGSELLENT PURIM! If this post has induced a deviled eggs craving, I’ve got you covered! Check out this classic recipe, or try this pickled one! 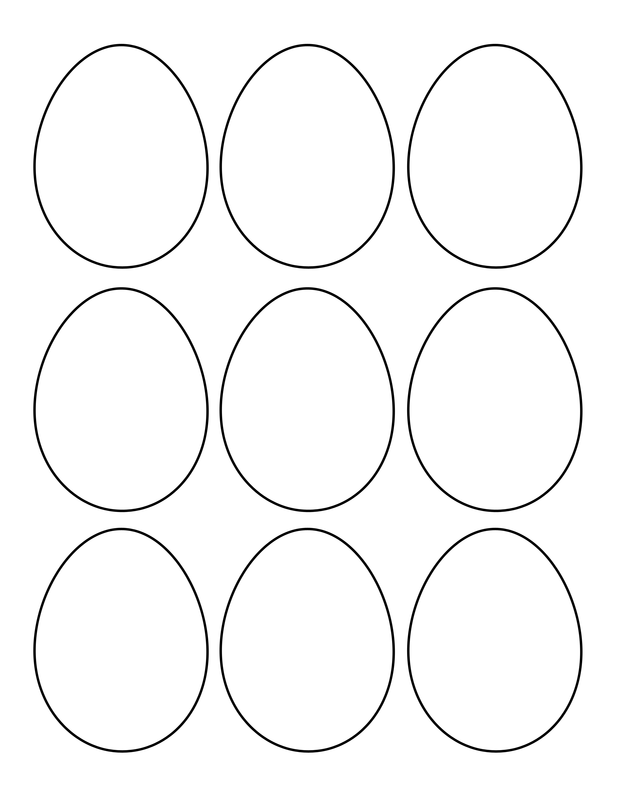 And if you’d like to print your own Egg cards, download the template here (I reduced the size for the yolk portion of the card). What did you make for shalach manos this year? Share your Purim ideas with me in the comments below! I can’t believe how the years have gone by so quickly. It feels like just yesterday that I was getting dressed up in my princess costume, hopping around town with my bag full of shalach manos. Now I’ve got my own little princesses in tow, and I’m the one doing the driving. Where oh where has all the time gone? I have some great memories of my mother preparing Purim packages for family and friends. She’d often give out Boston Cream Pies from Schick’s Bakery with a bottle of wine, and I was all too happy to deliver it. I’d get a dollar here and a dollar there, and always an extra stash of candy to nosh on. The Boston cream pies were always a huge hit, and a welcome change from the bags of pineapples and wine that filled everyones tables. When I was just married, I followed suit and made mini pies for everyone, with a side of chocolate dipped strawberries. That was a good one! I wish I could remember all the cutesy ideas I’ve had over the years. And the not-so-cutesy ones too. One year, I decided to make candy apples (from the “Applebaums”) and it was a complete disaster! There was a burnt sugar and red food coloring all over the place, and the apples were so sticky, I could barely package them! When it comes to homemade food gifts, chocolate bark takes the cake for the easiest one of all. But I couldn’t just make any boring old chocolate bark! While nuts and dried fruits are delicious, they’re fairly typical. Instead, I decided to combine sweet & salty flavors with milky white chocolate and colorful Terra Stix. The result is so gorgeous, it’s almost too pretty to eat. Except when you do, the combo is so good you don’t want to stop! Over a double boiler, melt the chocolate and spread onto a baking sheet lined with parchment paper. Sprinkle generously with Terra Stix. Refrigerate the bark until set, about 30 minutes and break into pieces. Store in an airtight container in a cool, dry place. If you’re still scrambling for shalach manos ideas, you’ve come to the right place! And not just because I’m gonna wow you with this unbelievably amazing pretzel dip that makes the perfect home-made gift. I’ve also got lots of other ideas for you, starting with this old post. And since I love you all so much, I’ve created a new category where you can find all of my Purim Posts in one place! If after all that you’re STILL stuck in a rut, check out all the amazing home-made gift ideas for Purim in the Kosher Connection Link-Up below! Print out adorable tags onto cute cardstock and tape them to the top of small canning jars filled with pretzel dip. Wrap some raffia around the lid and secure with a bow. Then, fill a small cellophane bag with an assortment of pretzels and fold over the top. Print a label that says “Purim Pretzels” on one side and “from: family name” on the other. Fold it over the cellophane bag and staple on each side. If you’re not up to making this pretzel dip for your Purim package, you should still give it a try. The combination of the sweet raspberry jam and spicy brown mustard, topped off with some hot mustard seeds in each bite, make this the perfect condiment for turkey subs, chicken salad or wraps of any kind! Combine all the ingredients in a bowl and mix well. Refrigerate until the dip sets and thickens. Serve alongside pretzels and crackers, spread over a turkey wrap or mix into chicken salad.